Patrick Mahany and Karen Mahany in an undated family photo. 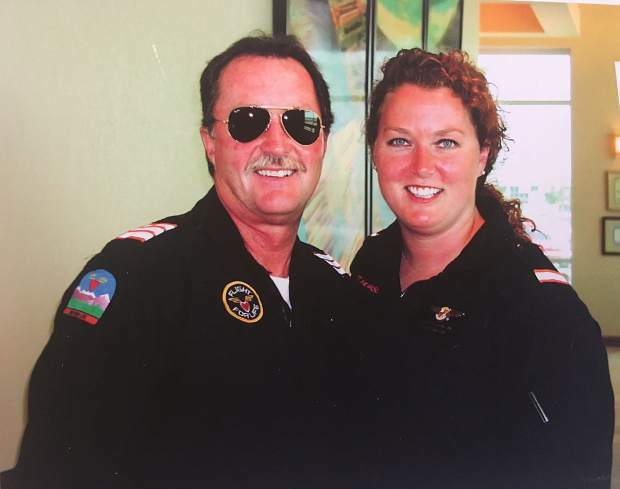 Patrick Mahany, a Flight for Life helicopter pilot, died in a helicopter crash back in 2015. A bill has been introduced to rename the Frisco post office in his honor. U.S. Rep. Jared Polis has introduced a bill in Congress to rename the U.S. Post Office in Frisco after Patrick Mahany, the Flight for Life pilot who was killed in a helicopter crash in Frisco back in 2015. Polis is the main sponsor, with Reps. Ken Buck, Diana DeGuette, Doug Lamborn, Ed Perlmutter, Scott Tipton co-sponsoring. Mahany was killed in Frisco on July 3, 2015, when the helicopter he was piloting lost hydraulic power to the tail rotor and spun out of control before crashing into the St. Anthony Summit Medical Center parking lot. Two flight nurses on board suffered serious injuries, but survived. Mahany was killed from a combination of blunt force trauma and smoke inhalation after the fuel tanks on the helicopter exploded into fire almost immediately after the crash. The NTSB found that had the fuel tanks been updated with the latest safety standards, Mahany might have survived the crash. These updated fuel tanks were not required of this particular model of helicopter due to a loophole in existing helicopter safety laws. Separately, Polis and Perlmutter also introduced legislation called the “Safe Helicopters Now Act” which will incentivize helicopter manufacturers with tax credits if they retrofit helicopters with safer fuel systems. Karen Mahany, Patrick Mahany’s widow, said she was honored by the effort to rename the Frisco post office after her late husband.